The wood Half Cutlery Tray is a great solution for organizing silverware, pens, pencils and other smaller common household items. The wood Half Cutlery Tray is also a great addition to an existing drawer or home dicor. Works as a great organizer in a drawer that is approximately 9 in. wide x 10 in. deep x 2 in. high on its own or with the wood half tray measuring approximately 10 in. wide x 11 in. deep x 3-1/4 in. high. This Silver grey cutlery tray is convenient for separating your kitchen utensils. Environmentally friendly: made of fully recyclable polystyrene with a silver grey finish. Honey-Can-Do KCH-02162 6 Compartment Steel Mesh Drawer Organizer, silver. This large, 6 compartment cutlery tray measures a substantial 16 in L x 11.25 in W x 2 in H (40.6 cm L x 28.6 cm W x 5.1 cm H) to hold large items such as serving spoons and spatulas, along with standard flatware. The steel mesh construction is durable and withstands long term use. 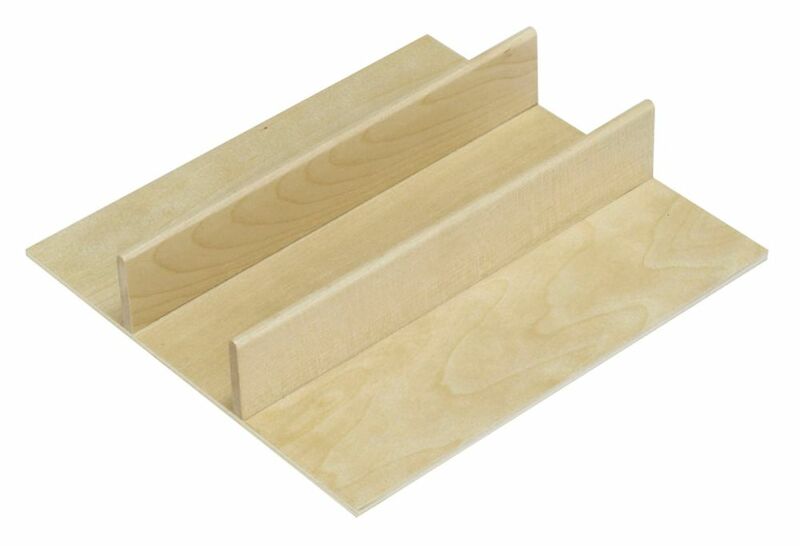 The low profile 2-inch depth makes it great for organizing desk drawers too. Honey-Can-Do KCH-02157 Steel Mesh Drawer Organizer, silver. This 3 compartment cutlery tray measures a substantial 16 in L x 11 in W x 2 in H (40.6 cm L x 27.9 cm W x 5.1 cm H) to hold large items such as serving spoons, spatulas, and tongs, cutlery, flatware, or even office supplies. The durable steel construction is able to withstand long term use. The low profile 2-inch depth makes it great for desk drawers too. Also features a coordinating mesh design, mix and match with other honey-can-do products and achieve that perfect look for your office or home. Knape & Vogt's tableware organizer fits a 9-12 inch drawer. It features 5 individual pockets for the organization of tableware and cutlery (tableware and cutlery sold separately). This organizer is easy to clean. FindIT Wood Half Cutlery Tray - 9.125 Inches x 8.5625 Inches x 1.875 Inches The wood Half Cutlery Tray is a great solution for organizing silverware, pens, pencils and other smaller common household items. The wood Half Cutlery Tray is also a great addition to an existing drawer or home dicor.